Cutefetti presents an incredibly satisfying, seafood-centered take on nachos, with all the toppings. 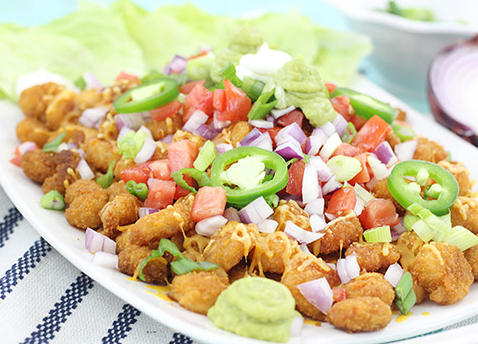 As if we needed another reason to love nachos! 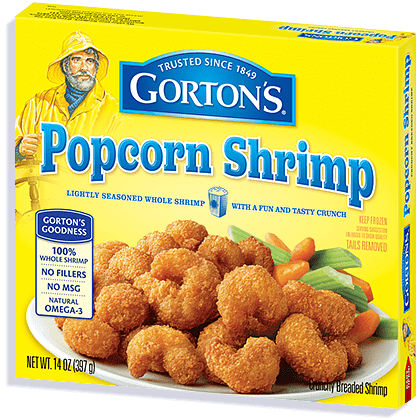 Prepare two packages of Gorton’s Popcorn Shrimp according to directions. Once the shrimp is ready, melt shredded cheddar cheese on top. Once the cheese is melted, top with all of your favorite nacho toppings and serve immediately while it’s nice and toasty. 100% whole, tail-off Shrimp covered with a flavorful breading.